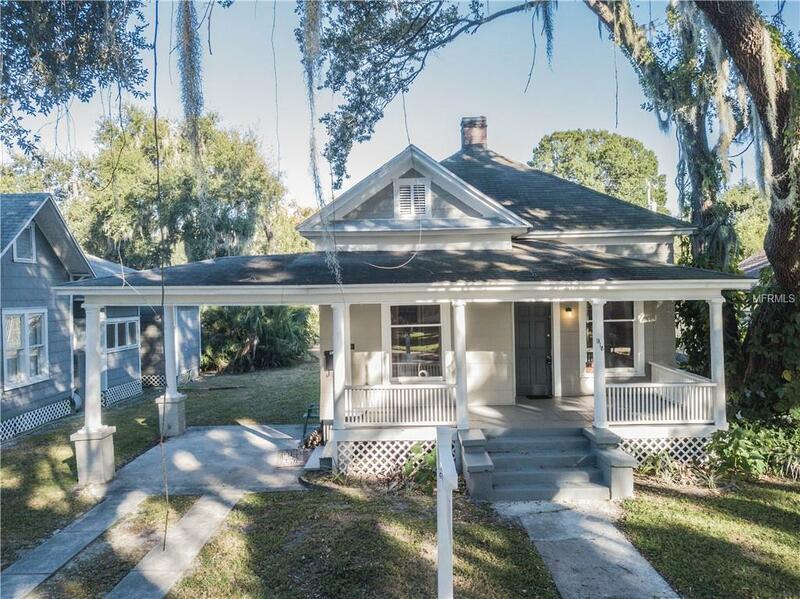 Been searching for that restored Bungalow in the coveted Historic district of Lakeland? You just found it in this lovingly updated home. Built in 1924, you will find it has that classic feel everyone desires of the Historic district. Envision yourself spending mornings or late afternoons on the front covered porch overlooking the quintessential charm of the surrounding homes or taking a leisurely stroll to Lake Hollingsworth, Lake Morton, or brunch downtown. Inside, you will find the original hardwood floors refinished to a bright, new shine. The main living areas feature crown molding and chair rail accents. The living room boasts a fireplace with original brick surround, adding to the enchanting feel of the home. The kitchen has been completely updated with new countertops, cabinets, appliances, and subway tile backsplash. The bathroom is brand new as well with a new vanity, new tub, fixtures, and tilework. Connecting to the kitchen is a large inside laundry room which could be used as an additional flex space as well. This home is sure to move quickly. Schedule your showing today!